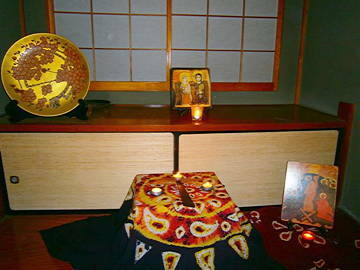 A brother from Taize will visit Japan at the end of November. The visit will be very much part of the preparation of the 2015 celebrations in Taizé. The community will remember the 75th anniversary of Brother Roger’s arrival in Taizé and his 100 years birthday. “Towards a new solidarity” is the theme of these celebrations. During his visit, there will be an opportunity to meet youth workers, university chaplains from different denominations. There will also be prayers, retreats with students. Listening to the challenges they are facing but also to their expectations and hopes will nourish the reflections made in Taize. Visits will be made in Sendai, Hiroshima, Kagoshima, to places of hope and solidarity in Caritas center at Yonekawa, Wakayama and Shimonoseki. There will be a retreat for students from Kwansei Gakuin university. Here are some prayers open for anyone.